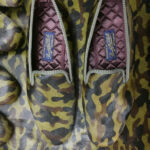 Bowhill & Elliott Camouflage Hair Cow Albert Slipper. Leather sole and quilt lining, handmade in Norwich using luxurious cow leather, which has been tanned with the hair left on. 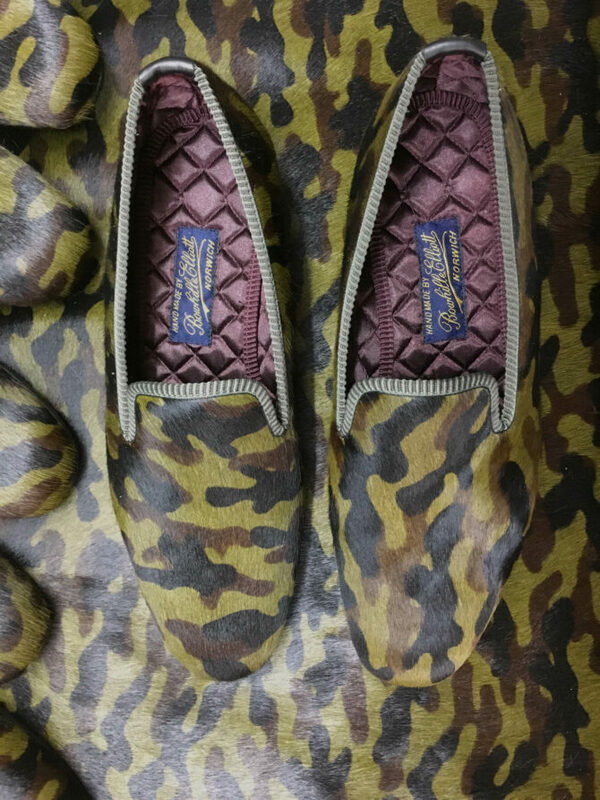 Then over-printed with camouflage pattern. 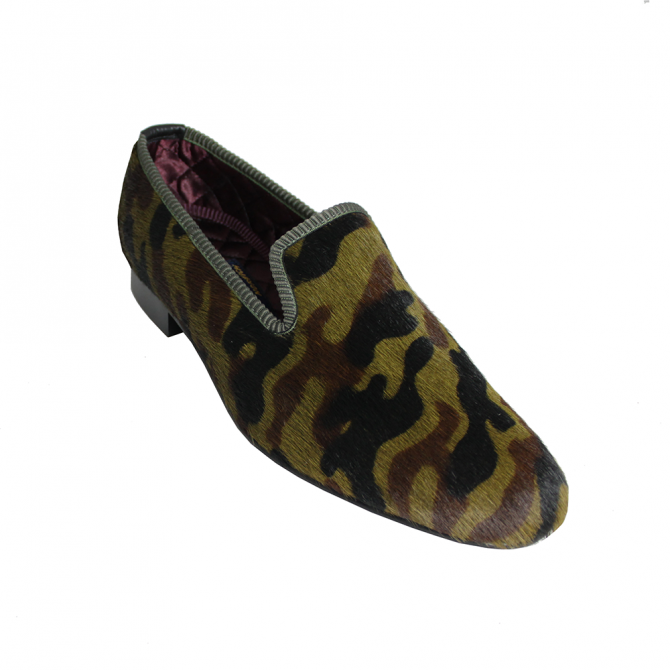 Bowhill & Elliott Mens Camouflage Slippers with a leather sole and quilt lining, handmade in Norwich using luxurious cow leather, which has been tanned with the hair left on, then over-printed with camouflage pattern. These Albert slippers are a must for your collection.